Seven-time Wimbledon champion Roger Federer admitted to feeling a few nerves at the start of his second-round match on Thursday against Serbian Dusan Lajovic. The butterflies affected his play as well, as Federer was broken in his first service game and fell behind 2-0 in the first set. 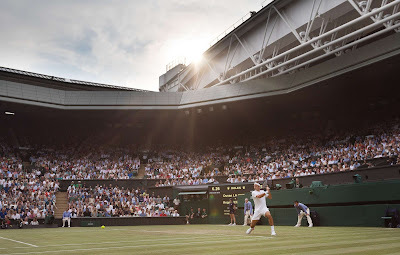 But the Swiss right-hander quickly resumed regular proceedings and dazzled a packed Centre Court crowd en route to reaching the third round at the All England Club for the 15th time. Federer advanced 7-6 (0), 6-3, 6-2 against Lajovic, who was looking to make the third round for the first time. Federer said he usually doesn't feel nervous before a match, even at Wimbledon. For instance, he felt fine before his first-round contest. But for whatever reason, the unsettling feelings came back on Thursday. Federer will face a familiar foe as he attempts to make the second week of the grass-court Grand Slam: 27th seed Mischa Zverev of Germany, who beat Kazakhstani Mikhail Kukushkin 6-1, 6-2, 2-6, 3-6, 6-4 in three hours and five minutes. 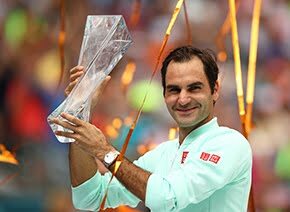 The 35 year old leads their ATP Head to Head series 4-0, including two wins earlier this season. 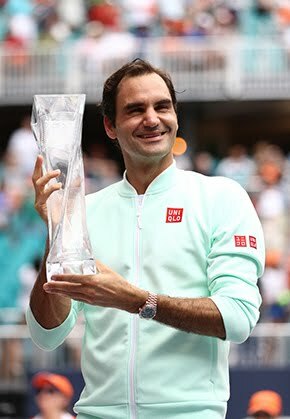 Last month, Federer beat Zverev on the grass at the Gerry Weber Open 7-6 (4), 6-4 en route to his eighth Halle title. “I have played him on several occasions now, and he's played me different every time. In Australia, he played me really close on the second serve and would try to attack me, everything that he saw that was short he would come in on. Whereas in Halle when I played him, he played from way back, which is highly unusual on the grass,” Federer said. Zverev has already matched his best Wimbledon result by reaching the third round. He plans to go all out against Federer during their fifth match-up. Federer was broken only once against Lajovic. From there, the Swiss star was in control, winning 11 of the 12 final points in the first set to take the opener. He'd break Lajovic four times in the match and finish with 31 winners to only 15 unforced errors. All facets of Federer's game were on point. He kept Lajovic uncomfortable with deep, flat groundstrokes and attacked the net just as well, winning 23 of his 31 net trips (74 per cent). Zverev was glad to hear about one part of Federer's second-round match - the fact that the seven-time champion felt nervous. “Good, he's human,” Zverev said before laughing.